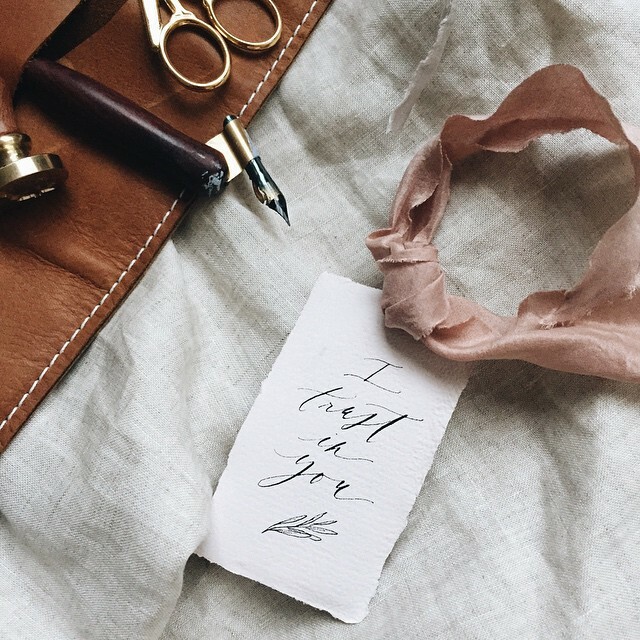 There’s an endless supply of incredibly talented calligraphers on Instagram, providing beautifully designed inspiration daily. Every time I go on Instagram, I look forward to scrolling through reading quotes and illustrations that were so thoughtfully created. It was nearly impossible, but I’ve put together a list of the top 10 calligraphers you should follow for your daily dose of hand lettering and motivation. 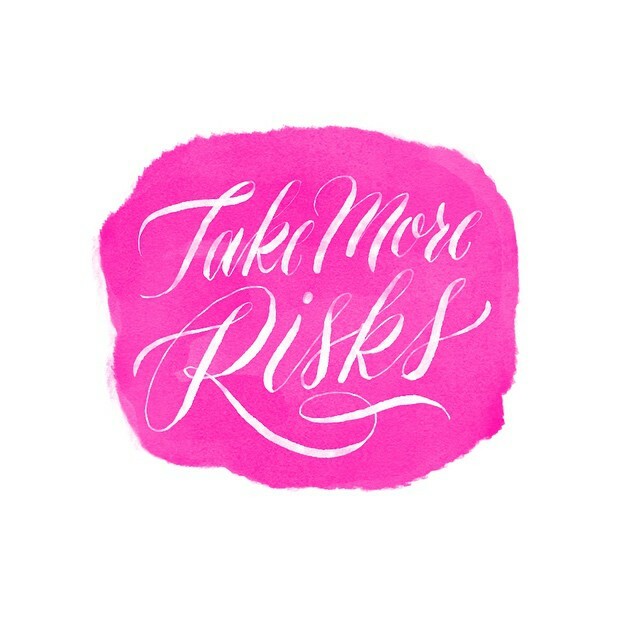 Based in California, Laura brings over 12 years of experience in calligraphy to the table. Not only has her elegant style made her quite famous in her own right, but she’s also designed for celebrities, big corporate clients, as well as Martha Stewart Weddings, Town & Country Weddings, and more. Based in Orange County, Lauren of A Fabulous Fete decided to quit her 9-5 office job to pursue her own blog. 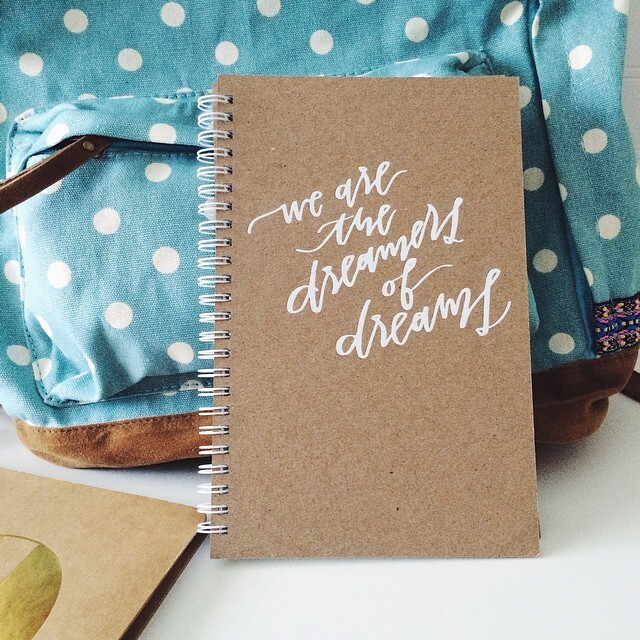 Never thinking it would actually turn into a full-time job, Lauren taught herself calligraphy, opened her own Etsy shop, and before she knew it was living her dream. Now her days involved helping design parties, host happy hours, and of course plenty of calligraphy. Creator and creative director at Fictional Supply, Jennet crafts apparel and prints for the design-driven lifestyle. I’m a big fan of her modern style with a minimalist, gender-ambiguous touch. Earthy, bright, and full of flowers, Chelsea’s Instagram feels more like a scrapbook than social media account. With photos of her everyday life in Nashville, Chelsea really brings a cheery and thoughtful perspective to everything that she does. And I really just want to buy everything she has in her Etsy shop Oh My Deer. Sophisticated, classic, and vintage would be the three words that come to mind when scrolling through Maybelle’s Instagram. 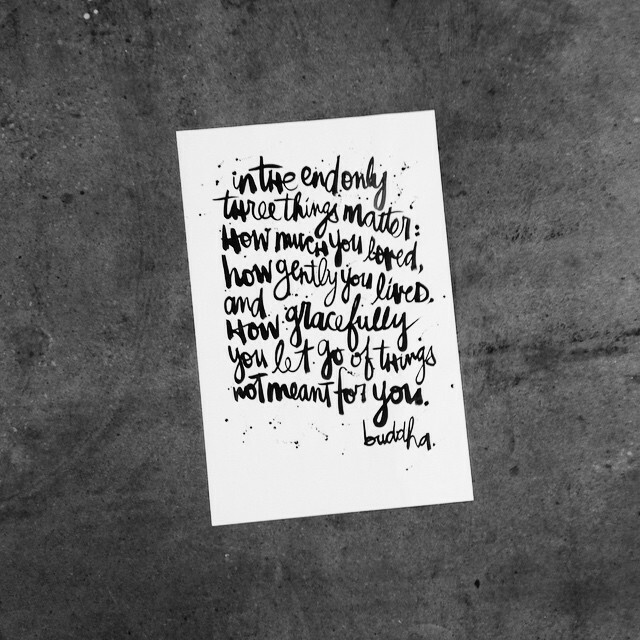 A self-proclaimed artist, designer, calligrapher, world traveler, and mother to twins, Maybelle really does it all. 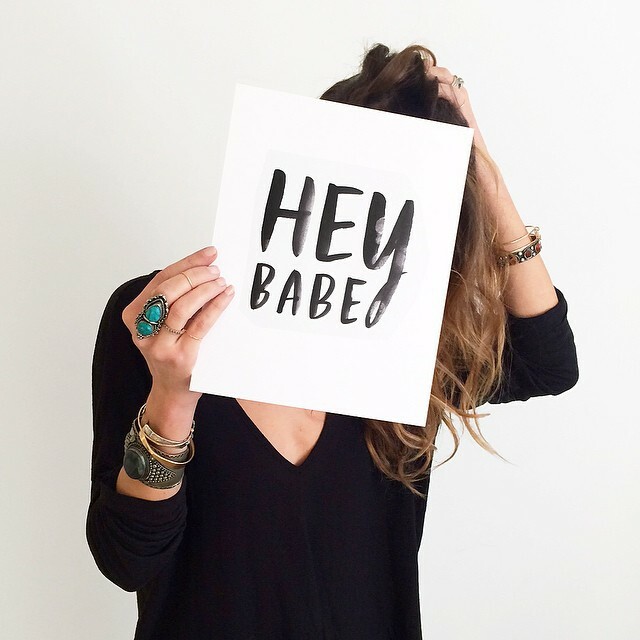 Raised in Hawaii but based in San Francisco, she’s designed for popular blogs like Design Sponge, Oh Happy Day, and Style Me Pretty among others. Full of bright pinks and blues, Molly’s designs feel like a big bundle of energy and excitement. You can see Molly’s designs on iPhone cases, notebooks, art prints, and even perfume bottles. With a focus all on the letters, Molly offers freelance lettering and workshops to help others learn the basics of lettering. 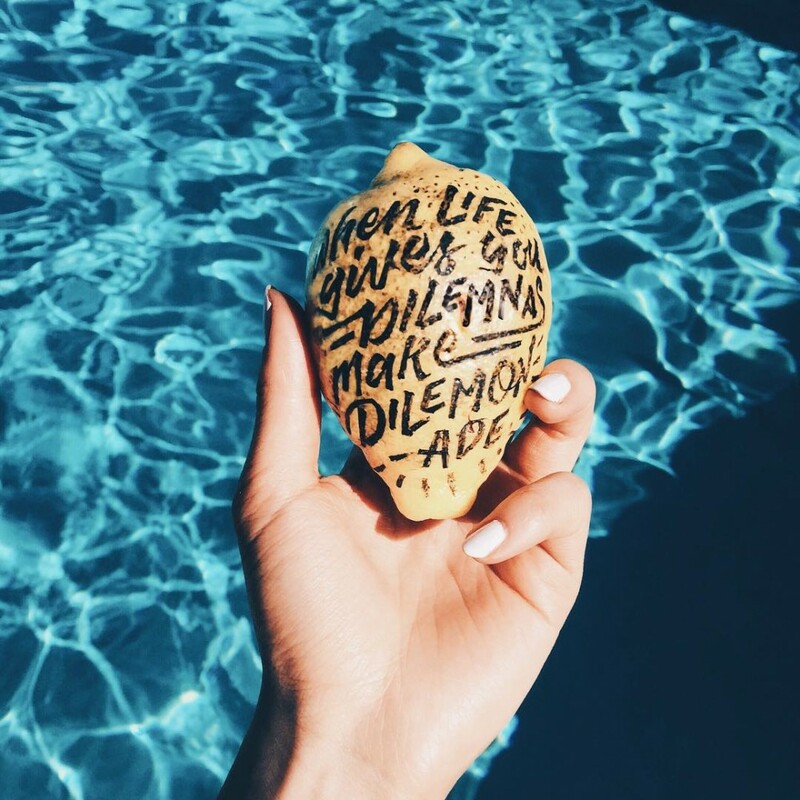 Another Orange County based designer, Eva is most well-known for her watercolor lettering and illustrations inspired by her little house by the sea. With a focus on brush, water, and ink, Eva helps create and develop brands through lettering, logos, websites, illustration, and pattern design. 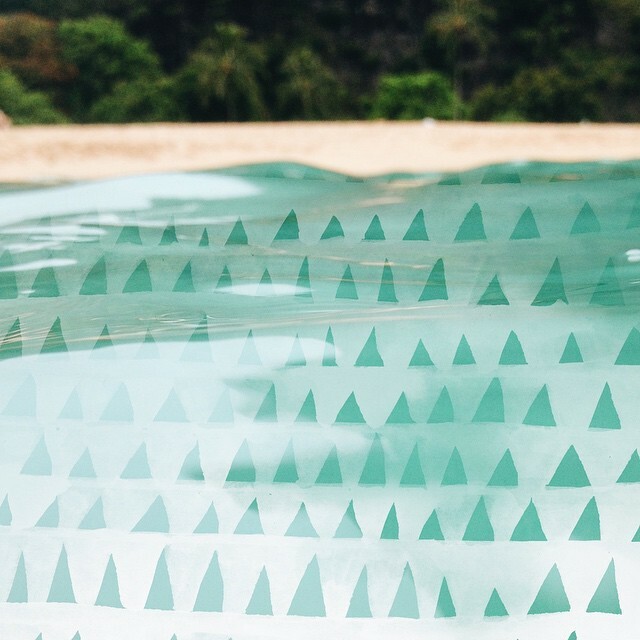 Her laid-back, California lifestyle makes for a pretty cool Instagram account too. 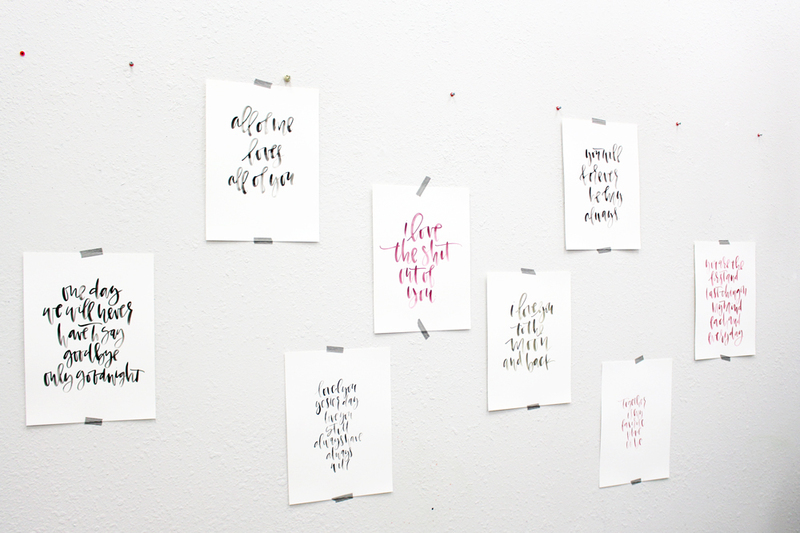 Founder of Written Word Calligraphy, Karla Lim describes her work as “organic and elegant calligraphy + design”. I really couldn’t put it better myself. Her work is modern, romantic, and natural all in one. 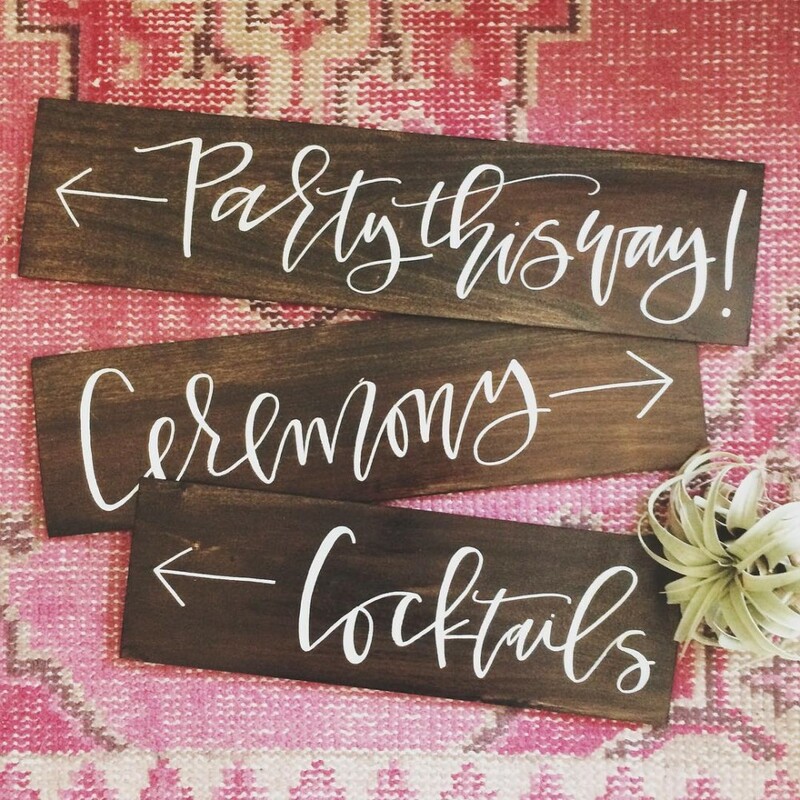 Featured on Style Me Pretty, 100 Layer Cake, and Once Wed, Karla really has mastered the art of wedding calligraphy. 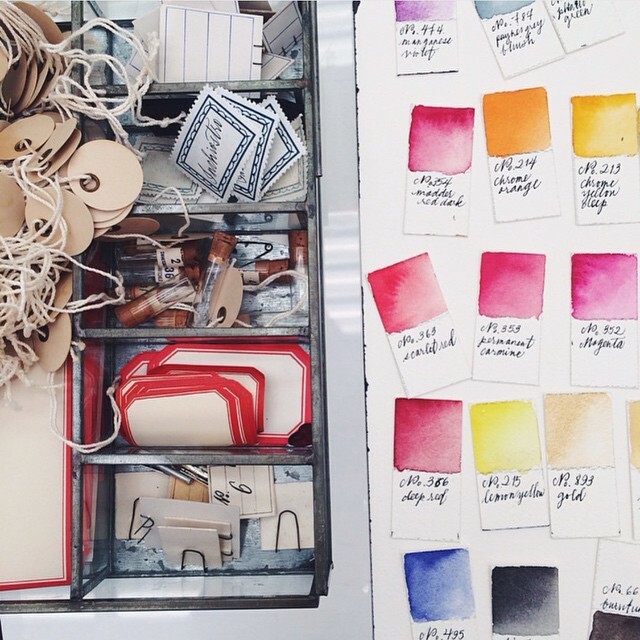 An amazing painter and calligrapher, Kal manages to balance both at her studio in Vancouver. If this quote hasn’t won you over, be sure to check out her Instagram for inspiring quotes and snapshots of her life as an artist. 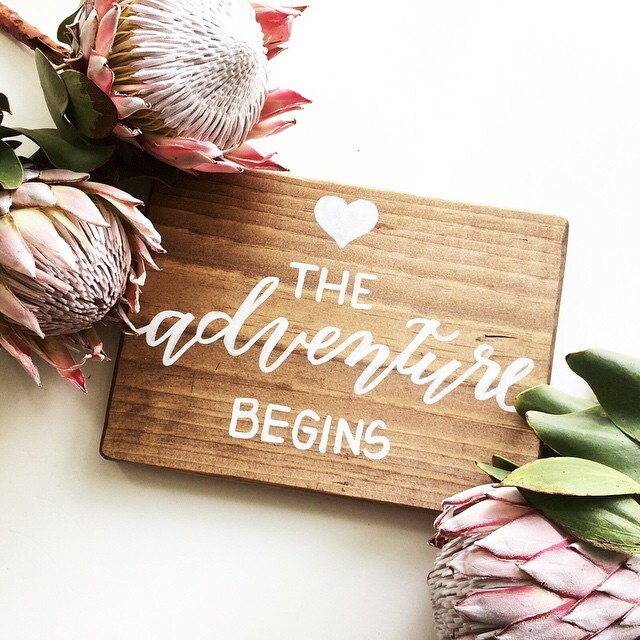 Based in Charlotte, North Carolina, Caitlin of Lettered Life makes such feminine, pretty designs that could make anyone smile. I’d love nothing more than to put her art prints on my walls, notebooks on my desk, and mugs on my counter. She’s got “adorable” down pat. Whether they inspire you to join a workshop, start your own freelance business, or just brighten your day, these calligraphers are worth watching. Laura Fairchild is a blogger and social media marketing expert. She graduated from USC, and brings a fresh take on all the most recent trends in style, beauty, entertainment, news, dining, and culture.